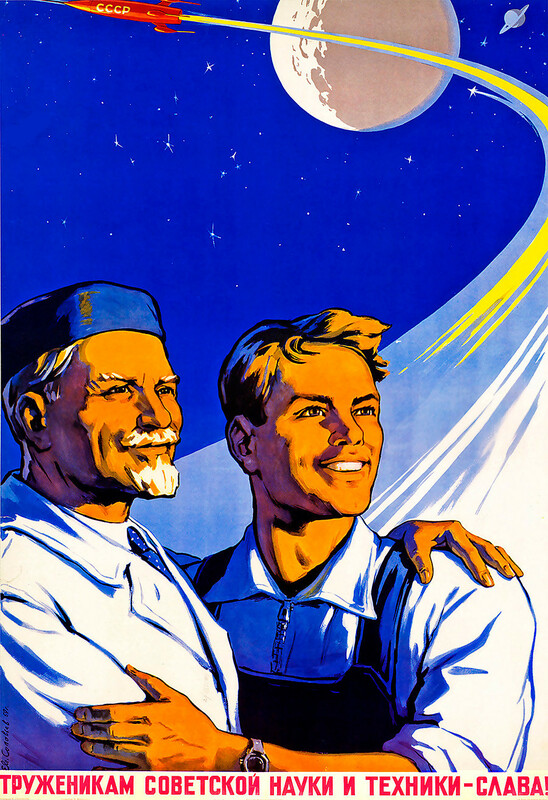 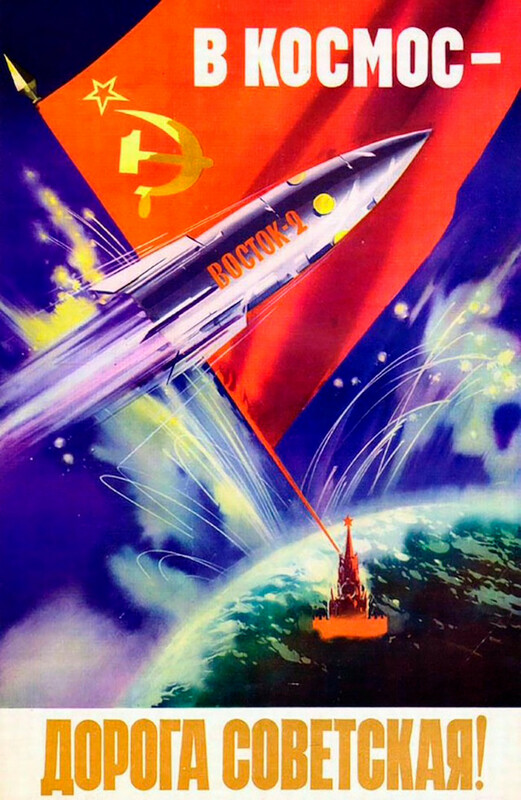 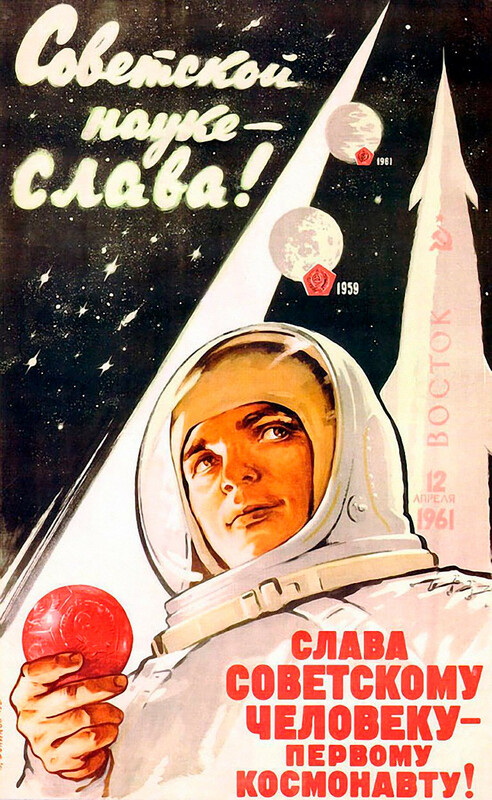 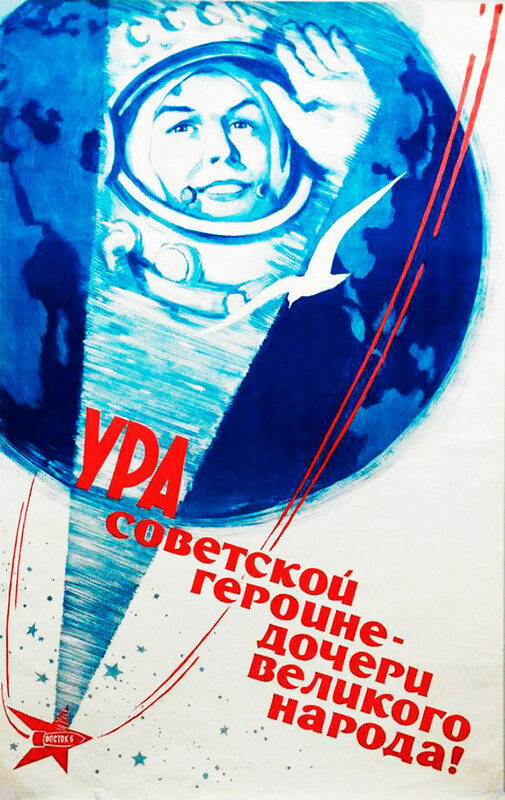 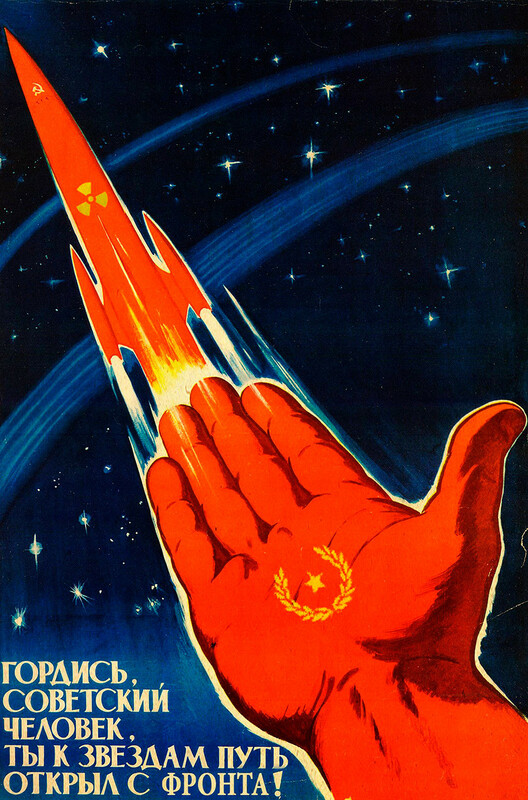 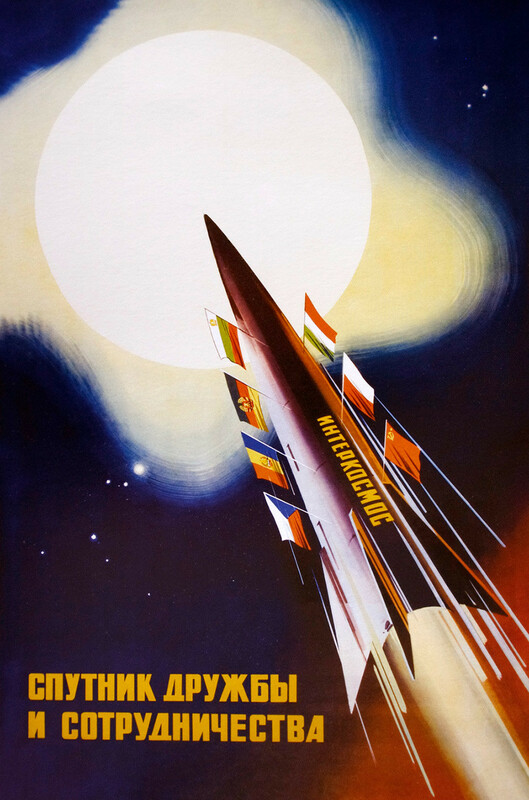 These posters were designed to convince people that there were no limits to Soviet science and technology in the exploration of space. 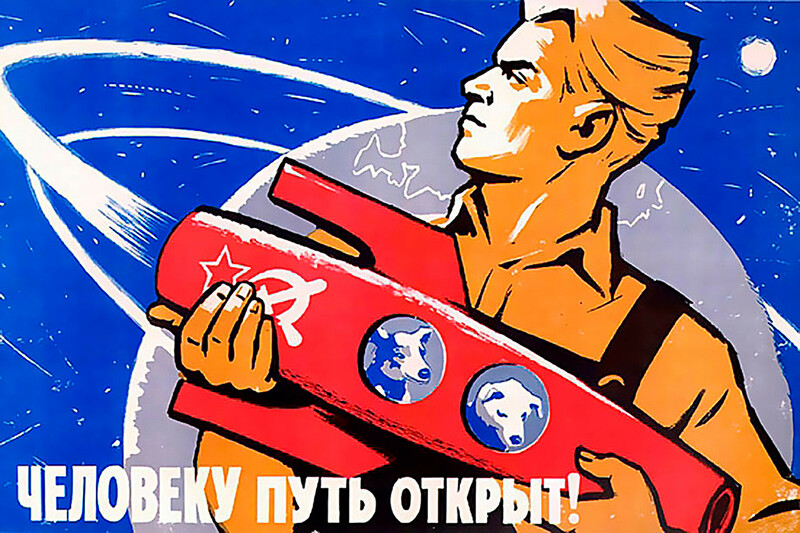 “The way for humankind is open!” The dogs Belka ("Squirrel") and Strelka ("Little Arrow") were the first Earth-born creatures to go into orbit and return alive. 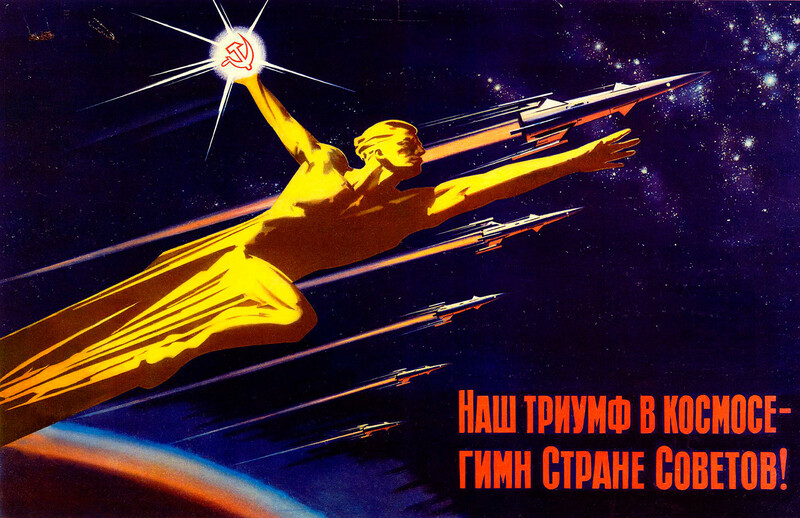 They paved the way for the first human space flight by Yuri Gagarin. 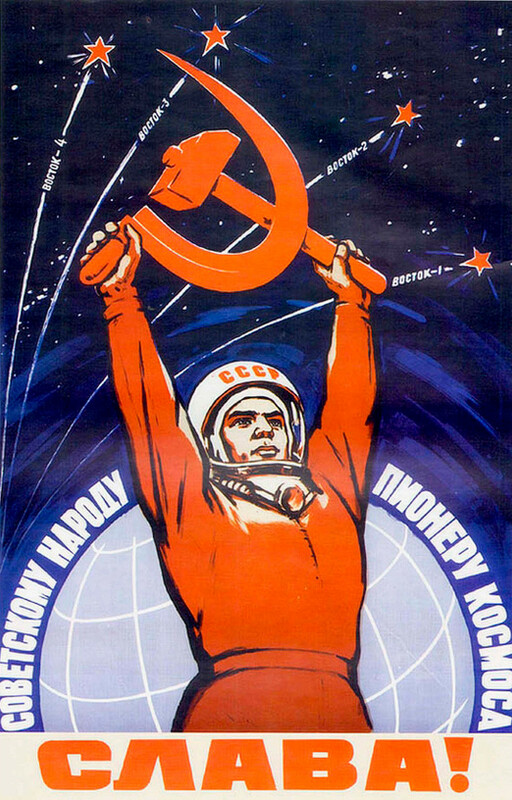 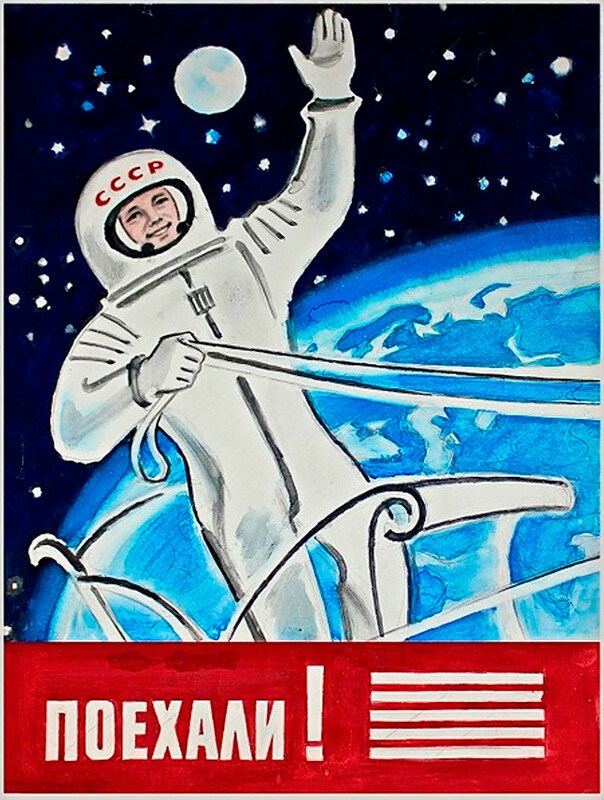 “Glory to the son of the Communist Party!” Yuri Gagarin was the first human to journey into outer space in the Vostok-1 spacecraft on 12 April 1961. 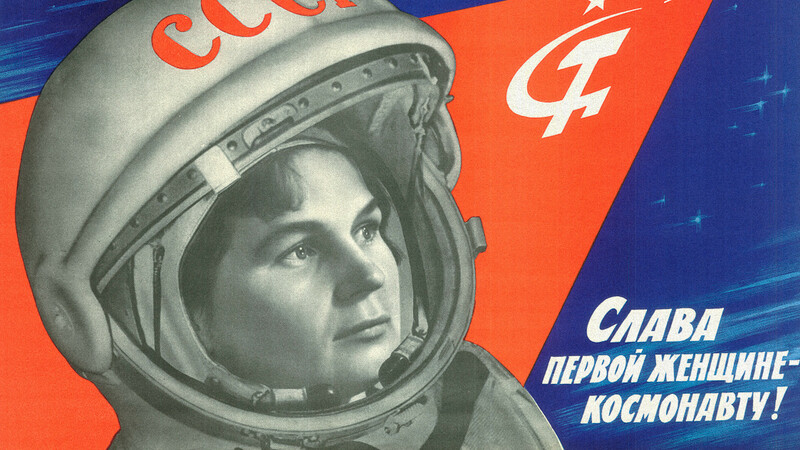 “Glory to the first female cosmonaut!” Valentina Tereshkova was the first woman to fly in space in the Vostok-6 spacecraft on 16 June 1963. 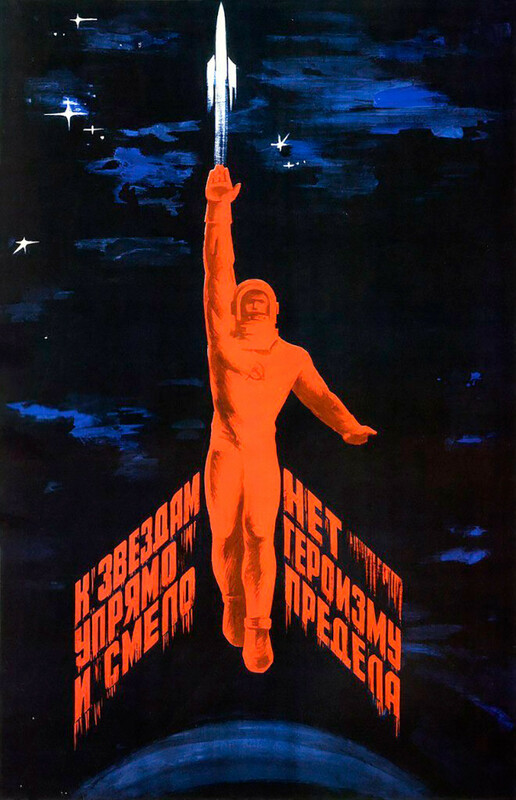 “We were born to turn fairy tales into reality!” This is a line from the popular Soviet song “The March of the Aviators” (1923). 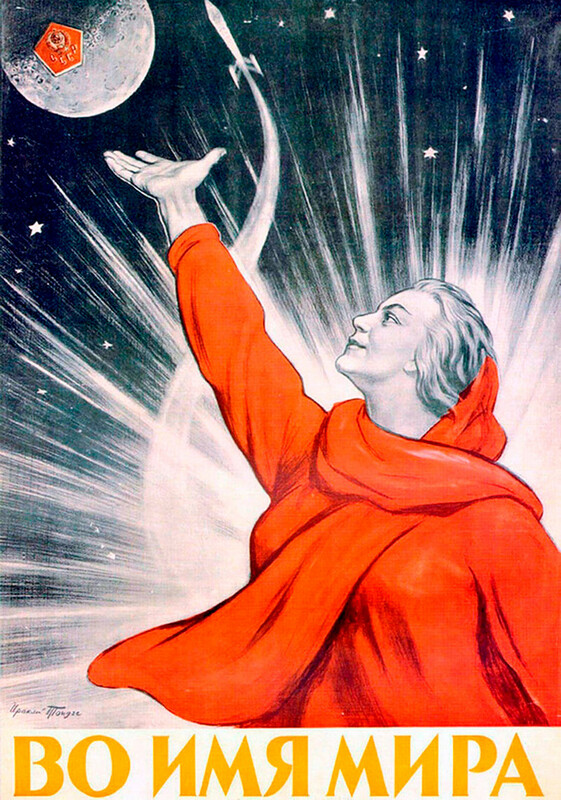 “In the name of peace” The image of the Motherland, a woman in a red dress, first appeared in the 1941 poster “The Motherland is calling!” This is one of the most popular images of Soviet propaganda. 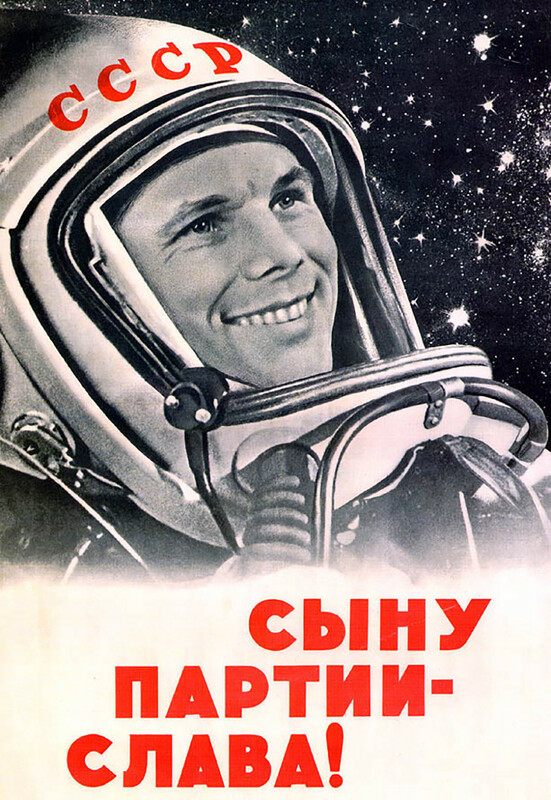 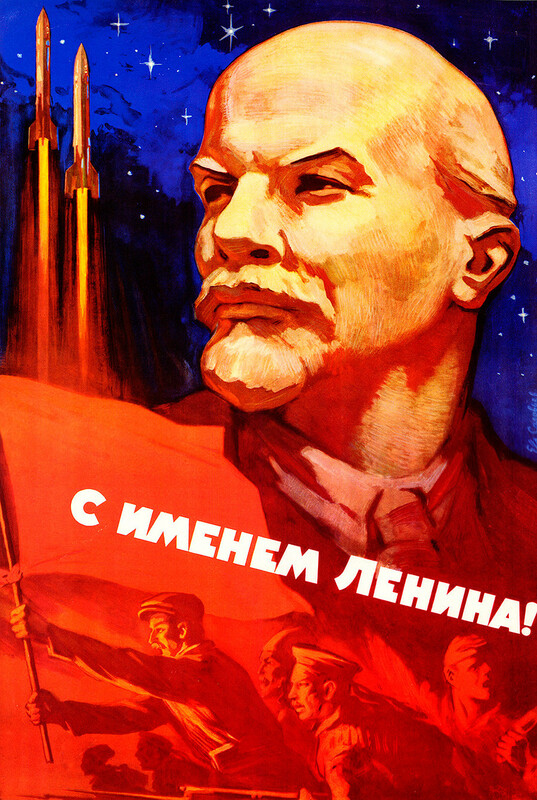 “Let’s go!” This phrase was said by Yuri Gagarin before his historic take-off into space. 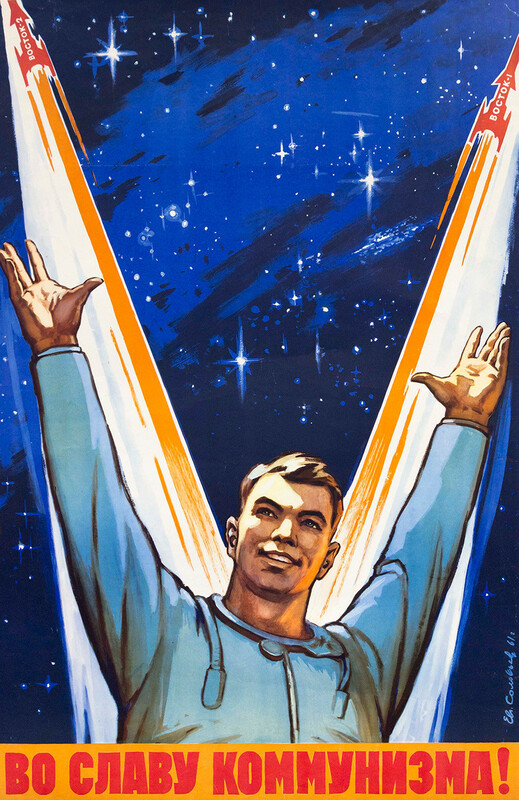 It refers to the beginning of the Space Age. 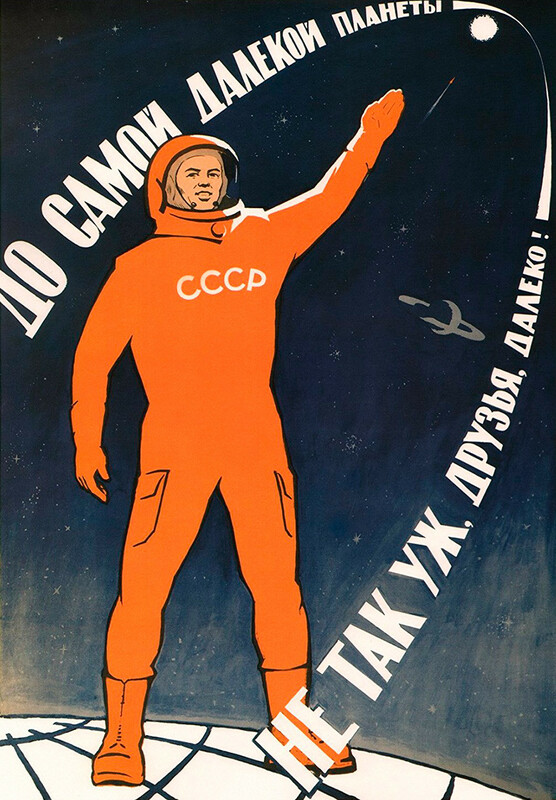 And here you can see how posters inspired Soviet people to do sport.